My Next Puppy, a dog adoption service based out of Chantilly, Virginia, is pleased to announce a new blog post dedicated to the basset hound breed. This blog at https://mynextpuppy.com/basset-hounds-info, has all the information a potential adoptive family needs when they consider adopting a basset hound puppy. My Next Puppy is a family-owned company with over 35 years of experience. Their main goal is to find the perfect puppy for each customer. Their website contains both a video and photo gallery of all the puppies they have available for adoption, as well as an extensive blog with detailed information about a variety of dog breeds. My Next Puppy makes sure that their website contains resources that their customers can use to educate themselves on many different dog breeds, such as the basset hound, which will help when choosing a puppy to match their lifestyle. When adopting from My Next Puppy, customers are assured that they receive puppies that come from accredited breeders who have passed American Kennel Club (AKC) inspections. The company is proud to be transparent with where their puppies come from and have readily available information about the breeders of each puppy listed on the website. Customers of My Next Puppy leave with more than just their new family member. Each puppy adopted through this company comes with an AKC registration, a certificate of pedigree, and is microchipped and registered for the Lifetime Identification and Help Me Find My Pet services. Each puppy has also received all vaccinations appropriate for their age before they are sent to their forever home. Families of puppies from My Next Puppy have lifetime access to online training videos and customer support to assist them with any future questions concerning the new addition to their family. The new blog post dedicated to information about basset hounds is an extension of the support My Next Puppy gives to their customers. When visiting the new basset hound blog post found on the My Next Puppy website, readers can learn about the history of the breed, any common health issues they need to look out for, tips that help with basset hound training, and answers to other commonly asked questions. This resource, easily accessible by customers looking to adopt a basset hound, serves to ensure that potential owners are educated on their new puppy before they bring it home. The new blog post also outlines important information about My Next Puppy’s adoption process and includes helpful tips a new owner can use to successfully transition the puppy to its forever home. 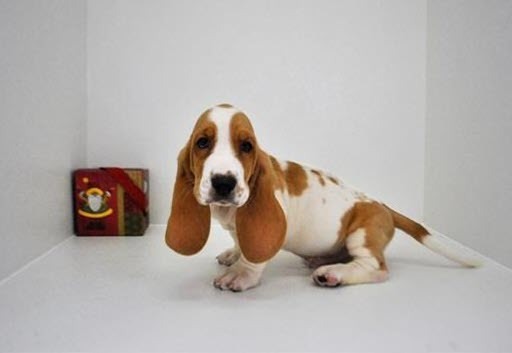 Along with their recent blog post, My Next Puppy now hosts a page on their website at https://mynextpuppy.com/basset-hound-qa that lists many common questions new or potential basset hound owners might have about this breed. While the basset hound blog post gives an overview of the breed, the new question and answer page goes more in depth about particular questions and concerns a potential basset hound owner might have. This question and answer page helps the reader understand how big they can expect a basset hound puppy to grow, if a basset hound is the right breed for their family, how much a basset hound puppy typically costs, what kind of upkeep is necessary for this pet, and other important information that a new owner should have before deciding to adopt a member of this breed. Customers interested in adopting from My Next Puppy can learn more about the resources and services they offer by visiting their website and checking their reviews at https://goo.gl/posts/Jag5o, or calling their store headquarters in Chantilly, Virginia.